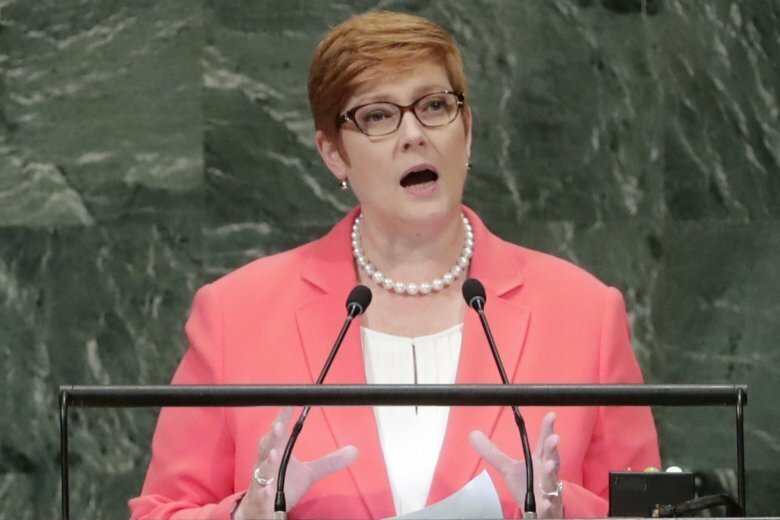 CANBERRA, Australia (AP) — Australia’s foreign minister said on Monday her country’s alliance with the United States had never been more vital in an era of escalating challenges in the Indo-Pacific region. “The challenges in the Indo-Pacific render our alliance as vital as it has ever been,” she added. Australia was also committed to constructive collaboration and engagement with China, its most important trade partner, Payne said. But she said the region would be safer and more prosperous if differences were managed by agreed rules rather than an exercise of power — an apparent reference to the Chinese militarization of the South China Sea where China claims almost all the territory. Mistrust on the scale of the Cold War “will create a fragile peace that risks being shattered by the slightest misstep,” the newspaper said. China protested a recent mission by nuclear-capable U.S. B-52 bombers over the South China Sea, calling the flights “provocative.” Two weeks ago, the U.S. Navy destroyer USS Decatur sailed close to Chinese-claimed islands in the South China Sea.